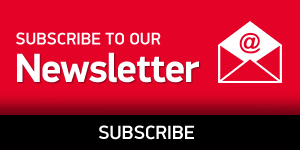 Dubai, Oct. 26, 2017– After a pioneering Johannesburg stint in September, Mineral Circles Bearings (MCB) continues the smart race with Automechanika, one of the world’s leading event organizers, to the continent of Africa this November. 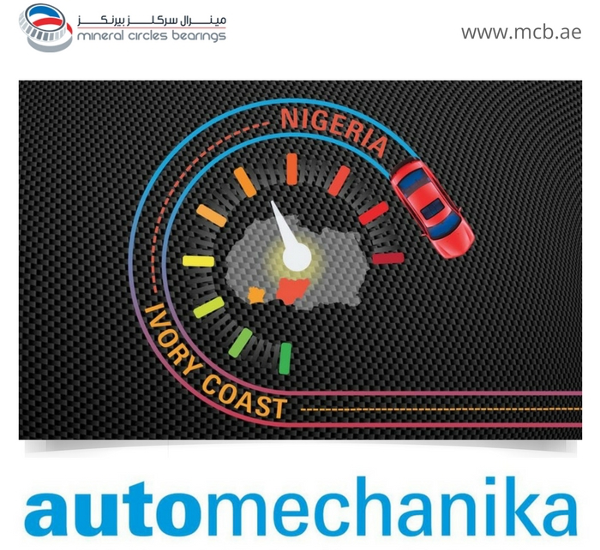 Represented by Regional Sales Manager Michel Peltier, MCB is all set to explore the bull market potential of West Africa’s automotive industry during this two-day roadshow in Ivory Coast and Nigeria. Participants will witness an interplay of knowledge based initiatives and cross functional experiences from key guest speakers within the government and private sectors. Since 2016, MCB’s sales and marketing team began its strategy reforms and framework in countries such as Cameroon, Senegal, and Ivory Coast through market research, onsite visits, and in-house data analysis. “West Africa has remained untouched due to geopolitical and economic risks plus logistical challenges. 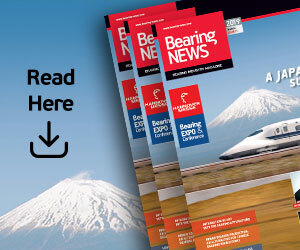 Now that it begins to resurface from these major issues, we foresee a good aftermarket and OEM business potential for our bearing business. 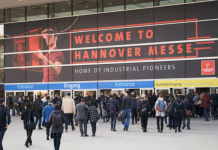 With us accompanying Automechanika, a trusted global event brand, we can reach out to a more captive market and audience,” says MCB’s Marketing Director Hassanein Alwan. From the sales perspective, MCB’s Michel Peltier recognizes the potential of this region most notably Ivory Coast and Nigeria for the automotive or industrial sectors due to the existence of Japanese car factories as well as oil and mining industries. Additional promising countries to watch out for are Burkina Faso, Ghana, Togo, Mauritania, and Senegal. In terms of fast rising vehicle brands, he added that Korean manufactured ones are taking over the market which will be mutually beneficial for OE supplier ILJIN and its MEA distributor MCB. 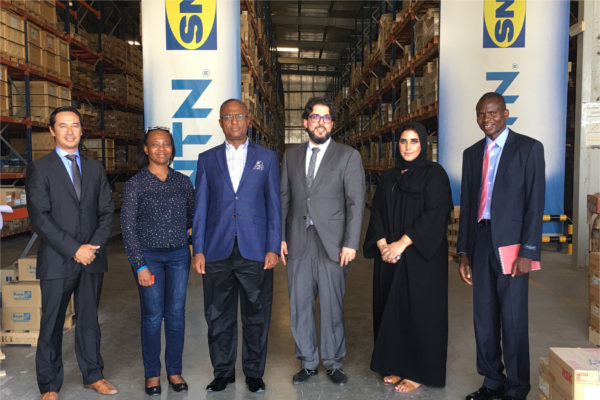 Michel Peltier (1st from left), Ghana Customs Delegates headed by Commissioner Isaac Crentsil (3rd from left), Hassanein Alwan (4th from left), and Dubai Customs’ Senior Manager for Gov’t Affairs Sara Alsuwaidi (2nd from right) at MCB’s Jafza headquarters on Oct. 4, 2017. “West Africa is 40 percent automotive and 60 percent industrial. Our biggest challenges now are finding the right partners and distributors for brands within our portfolio,” he mentioned. Lastly, with MCB’s strong presence in North and East Africa coupled with its multi-lingual staff’s technical know-how and decades of market intelligence, he trusts that the company will keep moving forward in its goals within the continent. 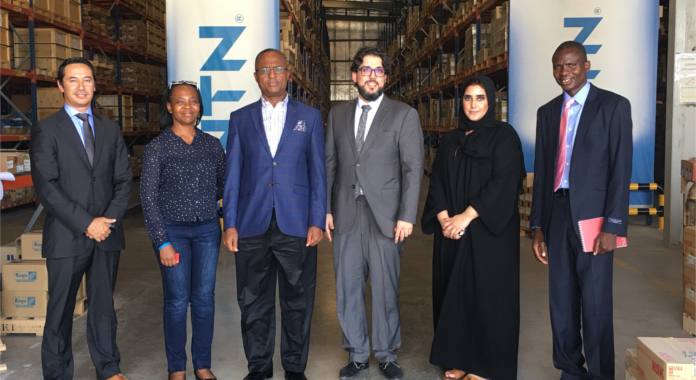 Both Alwan and Peltier agree that the following brands will continue to prosper in the mainstream bearing market of Africa. To debut as well in West Africa is HEAVY DUTY EP3 High Load grease, the brainchild of both MCB and French manufacturer NTN-SNR. 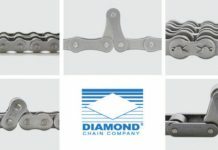 Rated NLGI grade 3 with high resistance to MEA’s hot temperatures and humidity, it is the perfect choice for trucks or other heavy applications.